ePages is one of the world’s most popular solutions for selling online. We live and breathe ecommerce – and we’re passionate about bringing your retail plans to life. With state-of-the-art ePages Now software, it’s easy to build a professional quality shop as unique as you are! Join the community of merchants using the No. 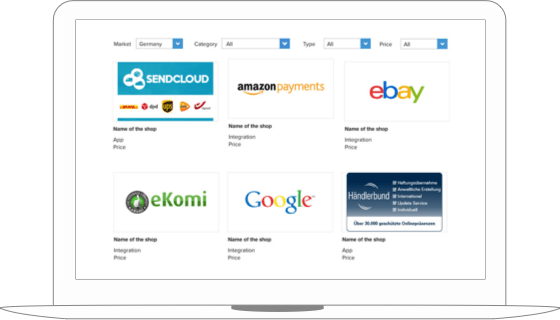 1 international online shop software in the cloud. We make it easy: We take care of the security and the faultless functioning of your online shop software. All technical updates are carried out for you automatically and without any additional costs. Take advantage of this unique, all-inclusive ecommerce package. Take a look at our merchant stories and learn about their experiences. Merchants in over 70 countries are already using ePages shop software. Take advantage of the comprehensive support at your fingertips. In our Help Center, you find assistance to manage your online shop. Within our academy format, free online trainings are provided so you can learn many tips for your online business. Find out more about ePages Support.